Think having a kid is tough? Try thirteen. 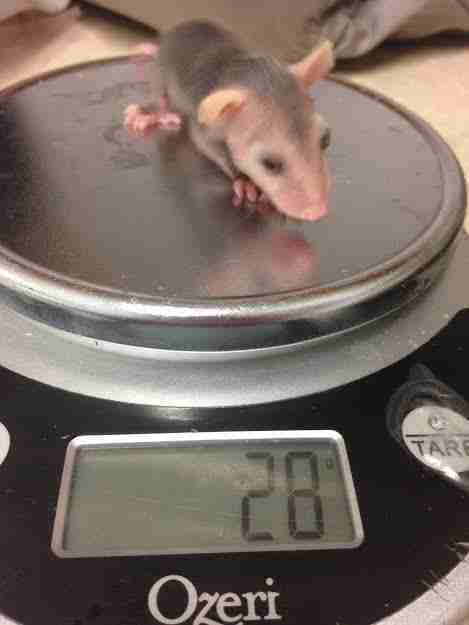 A baker's dozen of tiny opossum babies were recently taken in by Volunteers for Wildlife, a wildlife rescue center in Long Island, NY, after their devoted mom had been hit by a car. 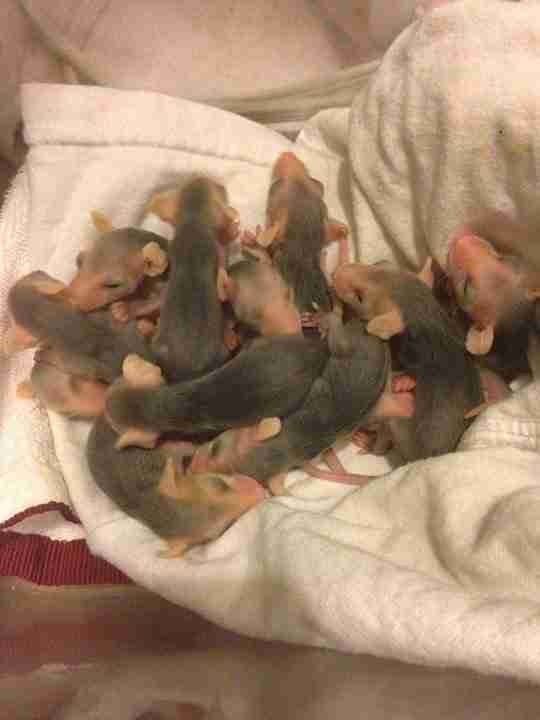 One of the babies had been injured and passed away as well, but the other 12 are going strong. 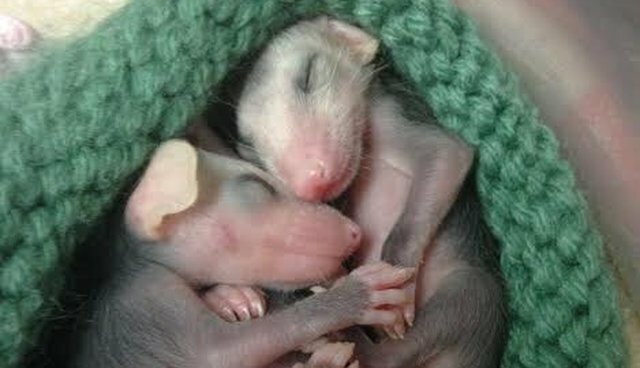 And now, their rescuers are scrambling to provide the month-old orphans with the round-the-clock care that opossum moms are best at. 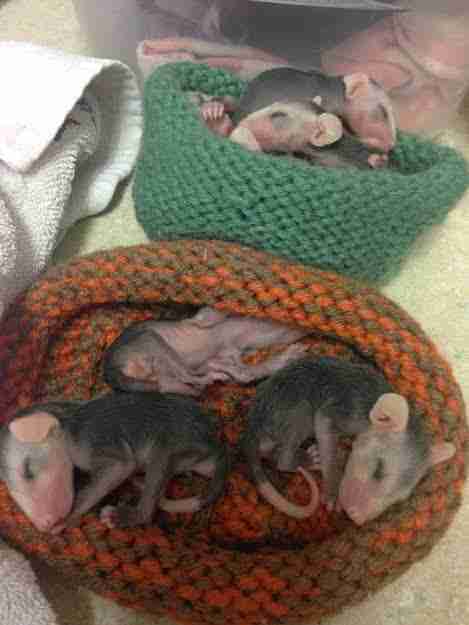 "They are currently being fed by one of our staff members every three hours with a few hour break late at night for some sleep (for her and for them! )," the group wrote on its Facebook page. Once the fuzzy litter grows up a bit and the babies begin to eat on their own, they'll be returned to the wild - and the rescue group is taking care to make sure they keep a healthy fear of humans. 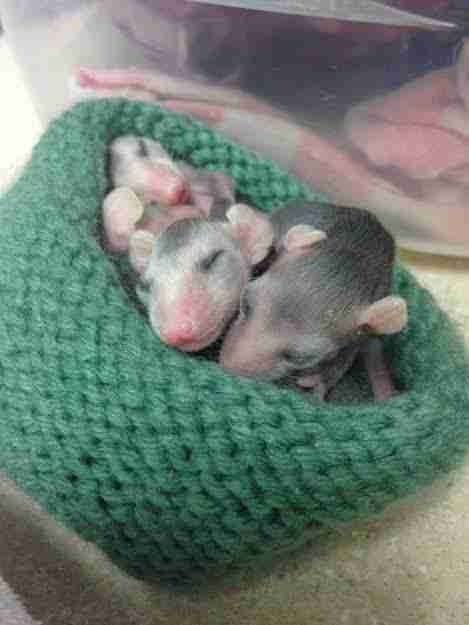 Of course, mom's always the best choice to raise wild animal babies. But props to their human mom who's making sure that, even after the accident, they have the best chance possible at living a healthy life. 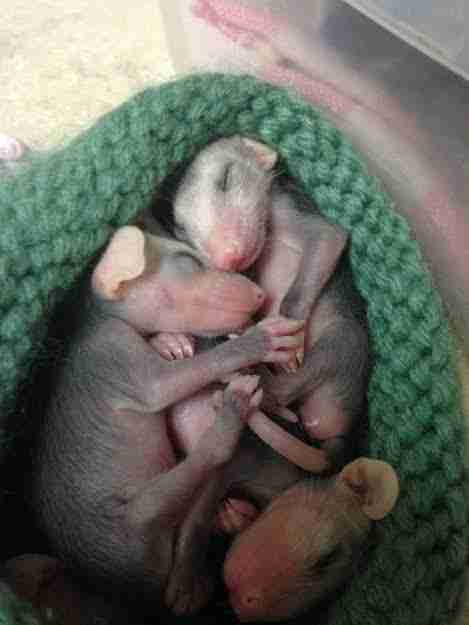 You can make a donation toward the care of these opossum babies by clicking here.